Facebook, Twitter, LinkedIn, Pinterest. Your business has a presence on all of these platforms and then some. So what’s next? Google+. Google+ is a powerful engine to turbocharge any business’ social marketing activities. And is the definite next on everyone’s Social Media to do List. How can one ignore it? Google has made it mandatory for all Gmail account holders to own a Google+ account too. So you are looking at an audience with Gmail accounts, which is a huge number. Lets explore some ways in which Google+ can help you business engage with the right audience online. Google+ is your ticket to Google and all its platforms. A profile on Google+ ensures that users will be able to find you on Google Maps, Google+ or even just a random search on Google. Google+ offers various mediums through which your information can reach interested users. The About page on Google+ is the perfect location for offering information and links that make for a quick introduction to your business and also lead to relevant pages on your website by way of SEO friendly copy. People should be able to find you when searching for relevant keywords on Google search. Google+ Hangouts & Events are a customized feature that helps the user reach out to people in and outside of Google+. It is a simple tool in which one can send invites to people (including those who are not on Google+) and receive responses which are all marked on Google Calendar. These events could be anything from a party, to a business event, to a get together, workshops etc. This tool can also be used to send out invites to Google+ Hangouts which are virtual meetings that help connect over photos, voice or video chats. 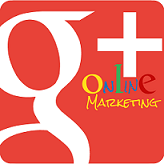 Google+ Ads are another engaging way of generating content and reaching out to varied audiences. Instead of a general post, post an Ad. This will increase user interaction and thereby increase the number of clicks on an ad as opposed to a simple one-way post. To ensure the ad reaches a wider audience, use Google+ circles. This will help in diverting traffic to your post. Google+1’d content helps in furthering the reach of a post or website through recommendations and shares, thereby increasing the click through rates. Google+ is also linked to various other popular platforms such as YouTube, SoundCloud and its very own Google Drive on which you can share content. Linking content through Google+ on these platforms makes for a longer shelf life. Google Authorship is increasingly on the rise too since it lends credibility to the writer / blogger and is advantageous due to the SEO capabilities it brings to the table. More and more bloggers are opting for it and it is very simple to execute. Create a Google+ profile and link it to your content and also the other way round. Add links of your content to the Google+ profile as “Contributor to”. And each time someone looks up your details, your profile picture too is displayed in the search results. This leads to better rankings and click through rates for your content which is always a plus. In order to optimize your benefits from Google+ make sure you keep your profile interactive. Thus it is imperative that you make relevant conversation or join in when others are engaging in relevant conversation. All of which can be found in Google+ shared circles directory, a listing of circles based on various demographics. This helps narrow the search to groups of people who are interested in the same topics of discussion. This is possible through your personal profile. You can build on your connections through the shared circles added to your personal Google + circle and then have interested people add your business page to their circle. All of this requires healthy interaction and conversation to keep the momentum with various circles going. What are you waiting for? Explore Google+ for your business today.